Just like any other startup, opening a successful art business benefits greatly from knowing the right people. For those creative people starting solo or small businesses, access to industry leaders, art attorneys, gallery owners, media publishers and others can help ensure their success. Unfortunately, startups as new entities in the industry, have not been around long enough to interact with industry leaders. LinkedIn, a social network favored by business professionals, provides a platform that can speed up the networking process. On LinkedIn, you can connect with those businesses, such as gallery owners, art collectors, museum curators, equipment manufacturers, which are hard to meet through the normal course of business. Yet, many people building art-related startup companies shy away from LinkedIn, favoring sites like the Behance Network, whose interface is better suited for displaying creative works. But that’s like leaving money on the table. Before I explain my strategy for using LinkedIn, let me make one caveat: the LinkedIn approach takes time, patience, and a clear plan. Don’t expect these strategies to pay off overnight. Networking is about laying the foundation. The goal is to build a reputation and position yourself and your company in other people’s minds so that when an opportunity presents itself; you are the one recommended. A LinkedIn profile is similar to those on any social network, although with more information and much more open text areas. You can have one for you and one for your company. Your profile should include all the things you want your prospects to know about you and your company. A good profile will have a well thought out summary paragraph letting people know who you are, your experience and perhaps your plans for the future. After logging in, you are presented with a wizard that guides you through the process of adding everything from your past employment and education to your current skillset and affiliations. 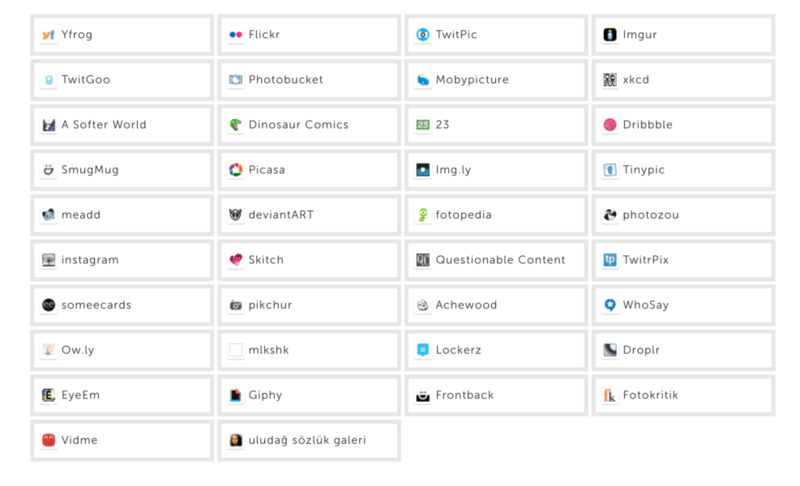 You can add your projects by linking from various websites. It’s important to take your time when adding to your profile. Think carefully about you wish to be seen by the public. People viewing your profile may pass you over if they find mistakes, or things they don’t like. Also, fill out as much of the profile as possible. You don’t want to give anyone the impression that you are not serious about your business. Step 2: Connect with 2nd and 3rd-degree contacts. People are connected to you by degree. People you know are 1st degree connections. 2nd- degree connections are people that your 1st-degree connections know. Everyone else is 3rd-degree connection. To add a 1st-degree connection, you first tell LinkedIn how you know the person, (i.e., friend, colleague, etc.) and then they will be sent an invitation to connect. You won’t be able to send an invitation to someone you don’t know, unless you have his or her email. The networking goal for any art business is to build relationships with the people that can help you grow your business. Many of those are 2nd or 3rd degree connections so the best approach is to connect to them via your 1st degree connections. Here’s how it works. Start connecting to people you know. Then, reviewing your 2nd-degree contacts, making a list of those people you that you believe may be beneficial. They could be copyright attorneys, art business consultants, gallery owners, product managers, or your favorite photographer. Ask your connections to make an introduction and start a conversation with them. Also, use LinkedIn’s search engine to find 3rd-degree connections. These people are much more difficult to meet since you have no connection to them. For example, if you are a photographer, then maybe you want to talk with a gallery owner, or someone at Canon. LinkedIn will help you find a route of connections to get to them. Look for the shortest number of people to get to that person. Then ask your connection to help facilitate the necessary introductions to talk with that person. You might be thinking, why would any of these people talk to me? Not all will, or some may make do it begrudgingly. Most people, however, want to help. Since the connection is made by someone they know, the person is much more likely to spend quality time with you as opposed to you making a direct request to talk. The introduction adds an authenticity to the request. To make the connections useful, don’t just send a series of emails. Try to get on the phone with them. You want to make a good impression; a feat better accomplished by having a conversation. You should make that person feel that you are worth talking to and that you didn’t waste their time. So prepare for any conversation. Write out points of discussion tailored to their expertise. Read their profiles. See if they have a social media footprint. Maybe the person has written articles on topics you would like to know more about. Maybe they just won an award or recently returned from a photo shoot in Burma. Your research will help you vary your conversations, rather than asking the same questions to each person. It will also impress them, making it more likely they will continue the conversation or perhaps it will prompt them to introduce you to other industry leaders. Also, always send a thank you note. (I prefer to send hand-written notes as it shows a bit of extra care.) Finally, write down notes of your conversations. If you are regularly networking, things will get jumbled in your head as to who said what, so you’ll want to review your conversations before the next call. This strategy may sound like it is a game; like you are using these people. That is not the case. It is merely a method to build a network of contacts that your art business may need. If you are networking purely as a means to get business, then it probably won’t work. But, if you genuinely want to get to know these people and learn from their experiences, the above strategy is a good way to accomplish that task. Meet the right people and the business opportunities will fall into your lap. LinkedIn has moderated Groups, much like those on Reddit; each one based on a different topic, idea, or business. Most groups require someone to review your profile before accepting you. Groups you join become part of your profile. Users join Groups that have topics that interest them. For example, LinkedIn has a group called Photography Business Secrets. Here is the Group description. Most photography professionals consider themselves artists and struggle with the business aspects. Photography Business engages in constructive discussions on how to get clients on the phone, marketing ideas, licensing, industry trends, advertising trends, what’s next, microstock, RF, RM, Free Images, video and footage. We invite members throughout all visual media professions to join this group and engage in active and constructive discussions on how to run the business effectively. People post articles or pose questions, trying to generate discussions. Most people are passive users, reading the discussions, but not participating. Those that do participate tend to gain notoriety within the group, which can lead to other connections. So join the Group and start posting questions or adding links for discussion. Every post should ask a pertinent question or indicate a topic for discussion. People won’t engage on the topic unless you ask. As well, if you can, answer some questions. People always want to talk to experts and will seek them out. Through interacting with the Groups, you can show people are an expert and hopefully make more connections. There are certainly many other ways of using LinkedIn to your advantage, but these are very effective methods. Be careful, however, if you are too scattered or don’t have clear goals then these strategies can be a waste of time. If you do use these strategies to build a strong network for your art business, you will be positioned to take advantage of any opportunities that may present themselves.